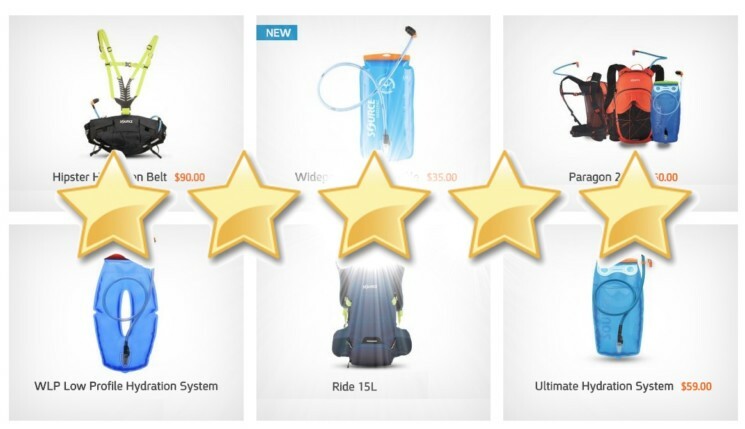 What’s the best hydration bladder to pack for biking, hiking, camping … enjoying the outdoors? Millions of hikers, bikers, hunters and professionals trust in SOURCE Hydration Systems. Here’s a collection of quotes from independent new reviews written this summer 2018, comparing SOURCE to the rest of the hydration packs out there. Hands-free drinking on the move (especially convenient for paddling or biking where you need your hands on the handlebar/paddles). Light-weight low-profile and foldable container. As you’re drinking, the bladder gets smaller in size. Also allows you to fill it only half-way and save space. Simple re-fill and water filtering options. The wide opening of our Widepac lets you easily fill from any source, a stream or fountain on the go. Easily add ice or freeze the bladder full of water. Again, the wideslide full width opening lets you add ice or any isotonic powder. SOURCE Hydration Reservoirs come in as the top pick in many reviews. We’ve elaborated on what makes SOURCE better bladders in this previous post.) Relevant categories in the ratings include often (light) weight, ease of care & use (i.e. cleaning, maintenance), durability, closure type, mouthpiece and available accessories (like our SOURCE UTA Rapid Refill Adapter). “super smooth and thus easy to clean”. “easy refilling, draining and cleaning”. “tube can be easily disconnected”. “valve cover included, accessories available”. In the Camping Maniacs best bladders 2018 post, our Widepac WXP from our tactical line comes in first: “My favorite pick, the WXP offers an array of irresistible features to any individual who knows what to look for in a hydration bladder”. “Easy to refill and clean”. “Low maintenance and from chemicals and toxins”. “Generally an incredible reservoir characterized by a wide range of performance-enhancement features”. As it is the same hydration technology in all our bladders, all the advantages of the tactical line, highly appreciated and trusted by professionals around the world, apply also to our blue Outdoor Hydration Systems. Mostz importantly in the Customer Reviews on SourceOutdoor.com and on shops like Amazon, 100s of reviews – 330 alone for our classic Widepac on Amazon – confirm the high quality and trust in our products that our customers feel and express. Quotes from our buyers include: “Maintenance is minimal, taste is excellence, and durability is far beyond other similar products.” – “This thing feels bomb-proof!” – “Near perfect 3L hydration system” – “The most reliable in terms of leak-proof and easy to clean.” and “No lie, these things are tough as nails.” are just some of the headlines. As our company SOURCE is celebrating its 30th anniversary next year, and as our hydration technology keeps setting a high standard for our competitors, we promise to continue our path, innovating and providing best gear for outdoor activities also in the 30 years to come.